CK3 – Includes 36″ of biaxial wound, high-torque cable, and 24″ of seamless aluminum cable housing with Teflon® coated inside diameter and Nylon coated protective jacket requiring no maintenance. 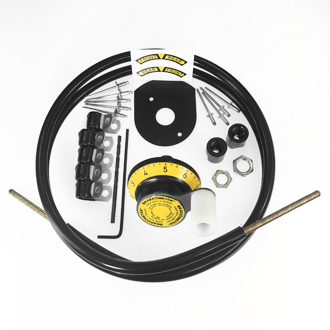 CK4 – Includes 48″ of biaxial wound, high-torque cable, and 36″ of seamless aluminum cable housing with Teflon® coated inside diameter and Nylon coated protective jacket requiring no maintenance. 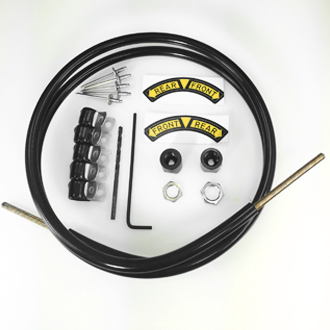 CK5 – Includes 60″ of biaxial wound, high-torque cable, and 48″ of seamless aluminum cable housing with Teflon® coated inside diameter and Nylon coated protective jacket requiring no maintenance. CK6 – Includes 72″ of biaxial wound, high-torque cable, and 60″ of seamless aluminum cable housing with Teflon® coated inside diameter and Nylon coated protective jacket requiring no maintenance. BrakeOMeter® disclaims all liability to purchasers of their devices for any and all injuries, claims, losses, expenses or damages whatsoever arising out of or in any way related to the BrakeOMeter® product(s). 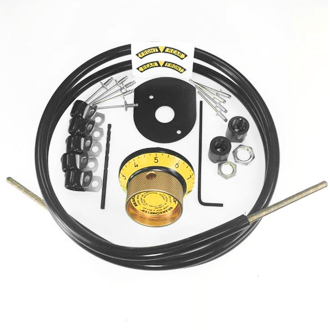 Users warrant that they will hire qualified technicians to install each BrakeOMeter® product and trained drivers will use the BrakeOMeter® product only as intended. 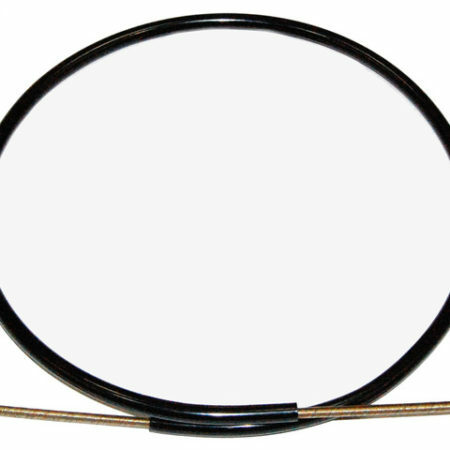 BrakeOMeter® Cable Housing with Teflon® Coated I.D. and Ballistic Nylon Coated O.D. So unique it’s patented! These products may be covered by one or more of the following patents: U.S. Patent No. D757,516, U.S. Patent No. D758,825, U.S. Patent No. D777,008 U.S. Patent No. D777,553, U.S. Patent No. 9,266,509, U.S. Patent No. 9,441,713, U.S. Patent No. D834,914 and other patents pending. The industry’s most robust numerical brake bias adjuster offers more control than any other racing brake gauge tool—and it’s the only one with U.S. Patents. BrakeOMeter® gives you reliable readings of your braking balance and the power to know—not guess—exact settings. 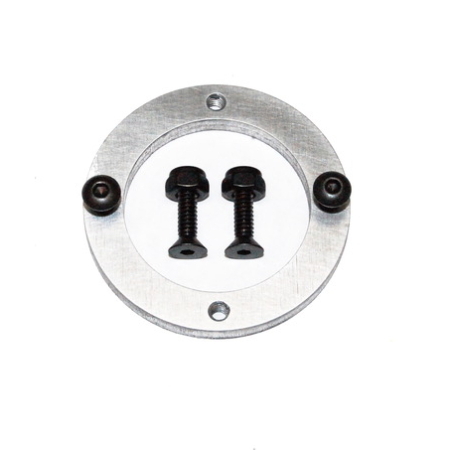 Upgrade your current brake bias knob to our advanced indicating brake bias knob. Professional knobs available for nearly all racing cars. Go behind the scenes into the brains of our custom car gauges—the most powerful brake balance adjustment available. MOTOR SPORTS ARE INHERENTLY DANGEROUS ACTIVITIES, AND MAY RESULT IN PERSONAL INJURY OR DEATH. Read the operator’s manual, warnings and instructions carefully before using any BOM product. Users of any BrakeOMeter® products warrant that they will hire qualified technicians to install each BrakeOMeter® product, and agree that only properly trained drivers will use any BrakeOMeter® product and will do so only as intended. BrakeOMeter® products are intended for adult use only. BrakeOMeter, LLC® expressly disclaims all liability to purchasers and users of its products for any and all injuries, claims, losses, expenses or damages whatsoever, whether to property or persons, including death, arising out of or in any way related to the BrakeOMeter® product(s). Users acknowledge that all motorsports activities are inherently dangerous activities and BrakeOMeter® product users engage in such activities, and use BrakeOMeter’s® products, at their own peril. Please see BrakeOMeter’s® Terms and Conditions of Sale, Limited Warranty, and Limitation of Liability, available here, for more information.